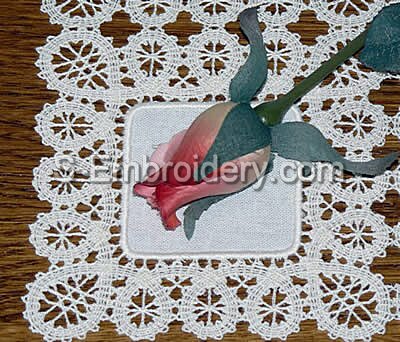 A fine Battenburg lace machine embroidery design. 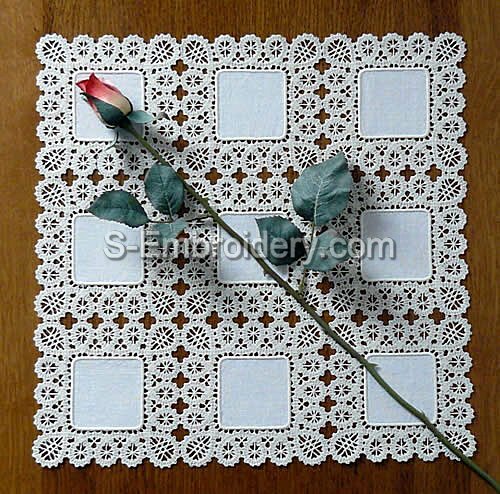 Stitch out this freestanding lace embroidery as many times as you wish to create a doily, table top or table runner with a size of your choice. 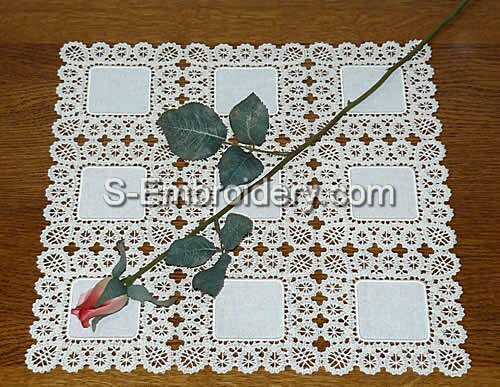 The design comes with instructions for stitching out and connecting the lace to produce the doily featured on the design details page.